Dukkha is often translated as Suffering, but this definition tends to create complications for us. It can better be understood as Unsatifactoriness. 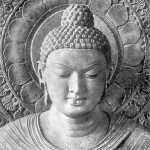 dukkha-dukkha the dukkha of physical and mental pain. viparinama-dukkha the dukkha of constant change. ruined by impermanence leaving cravings unsatisfied. sankhara-dukkha the dukkha of life’s compositional nature. experience and taṇhā, or craving. craving for sense objects which provide pleasant feeling, or craving for sensory pleasures. craving to be something, to unite with an experience. Ego-related in opposition to Anatta. craving to not experience unpleasant things in the current or future life, such as unpleasant people or situations. Raga greed, sensual attachment (opposite of Dāna). Dvesha aversion, ill will (opposite of Mettā). Moha delusion, confusion (opposite of Paññā). The three poisons or the three unwholesome roots in Buddhism, refer to the three root kilesas of Moha (delusion, confusion), Raga (greed, sensual attachment), and Dvesha (aversion, ill will). These three poisons are considered to be three afflictions or character flaws innate in a being, the root of Taṇhā, and thus in part the cause of Dukkha (suffering, pain, unsatisfactoriness) and rebirthsIn the Buddhist teachings, the three poisons (of ignorance, attachment, and aversion) are the primary causes that keep sentient beings trapped in samsara. Acceptance of The Four Noble Truths, discerning the difference of mind and matter, an understanding of the cause and effect nature of reality, and clearly seeing into the characteristics of existence gives us insight into the cessation of suffering. Vedana: (sensation, or feeling) Sensory experience of an object. It is either pleasant, unpleasant or neutral. How can an exploration of Vedana lead to a cessation of The Three Poisons? Allowing yourself to be a little vulnerable, and accepting that all of us suffer, meet with one, or (no more than) two people in a group. Share something in your life (perhaps a thought that comes up in meditation practice) that brings up difficult feelings of anger, sorrow, or fear. Accepting that this is a natural part of what it means to be human, and bringing an awareness to those feelings, explore how The Three Poisons contribute to these feelings. What role does attachment and aversion contribute to these negative feelings? How does an understanding of The Three Marks of Existence soften the blow of this suffering? Without attempting to resolve the problems or feelings right at this moment, consider what it would take to just be present and accept those feelings as they are right now. This entry was posted in Home and tagged Craving, discussion, dukkha, Exercise, Feeling Tones, Panna, Right View, Samsara, suffering, Tanha, Three Marks of Existence, Three Poisons, Unsatisfactory, Vedana, Wisdom. Bookmark the permalink.